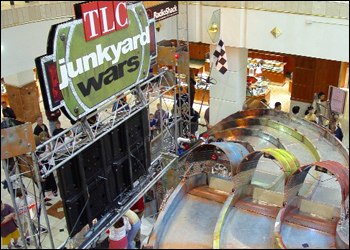 Here’s your chance to experience Junkyard Wars firsthand at a mall near you! 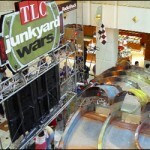 Participants will build unique junk gravity-racers and compete on a special effects-filled, mini race track. For those of you in the New York area, they will be at Roosevelt Field May 16-18. I’m sure you’ll be able to walk right up and build your own “gravity-racer”. No crowds, no waiting, right?